YAZ is indicated for use as: - an oral contraceptive. - treatment of moderate acne vulgaris in women who seek oral contraception - treatment of symptoms of premenstrual dysphoric disorder (PMDD) in women who have chosen oral contraceptives as their method of birth control. The efficacy of YAZ for PMDD was not assessed beyond 3 cycles. YAZ has not been evaluated for treatment of PMS (premenstrual syndrome), see CLINICAL TRIALS. 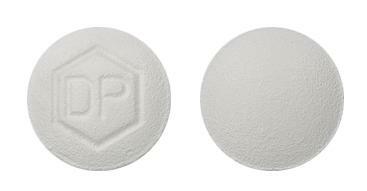 Small round white tablet debossed on one side with the letters "dp" in a regular hexagon. Small round light pink tablet debossed on one side with the letters "ds" in a regular hexagon.